Friday I’m in love…European fabrics, originally uploaded by SewLaTea. 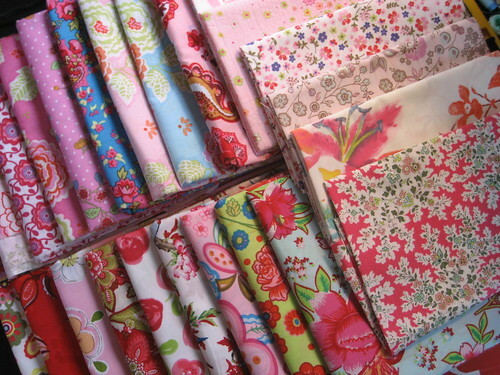 …with these AMAZING European fabrics!! 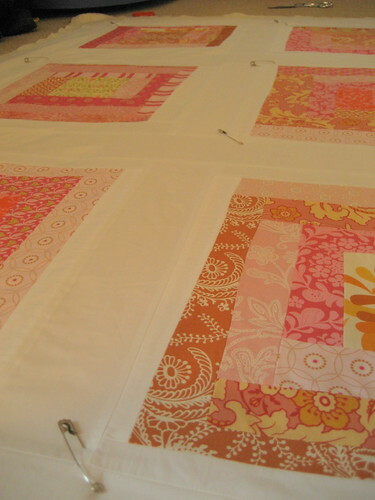 I bought them with baby girl in mind…hoping to make an amazing quilt for her. 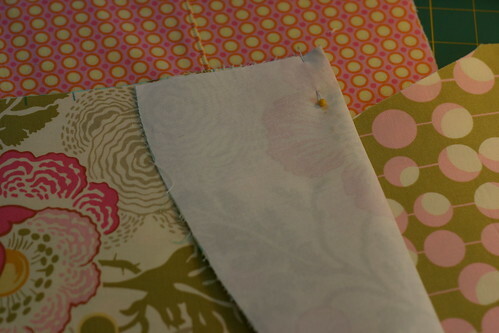 I bought these fabrics from two places…BanberryPlace.com and Sheree’s Alchemy. Corie of Banberry Place also has a blog called Stunt Sewing. Sheree of Shereesalcemy has an online store, an etsy shop, and a blog. Both shipped quickly and were packaged perfectly! I’m so excited to get started!! Birdie Sling pleats, originally uploaded by SewLaTea. This pic is a bit dark…about to start the pleatIng…but just hung up on where to stitch here…I’m guessing 1/4 ” from the top, across from folded edge to the pin(which is where the pleat marks line up)…. 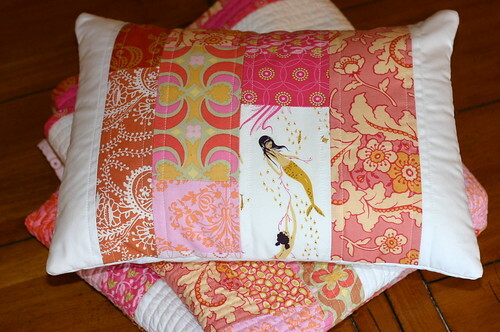 I’ve been so busy lately, hardly any time for myself let alone for sewing. Picked up some extra hours at the hospital for some extra cash (and really wishing I could spend it on fabric instead of a new roof!) Ah, well, such as life huh? I HAVE been working on gathering and sorting all of my favorited tutorials. I have an endless list that just keeps growing. I’m inspired constantly by these amazingly fantasticly creative women (and men!) out there. As one blogger writes, I need to “stop staring and start sewing!” But I can’t help searching and exploring flickr and then getting lost in links from one blogger to the next. And then there is the fabric!!!! 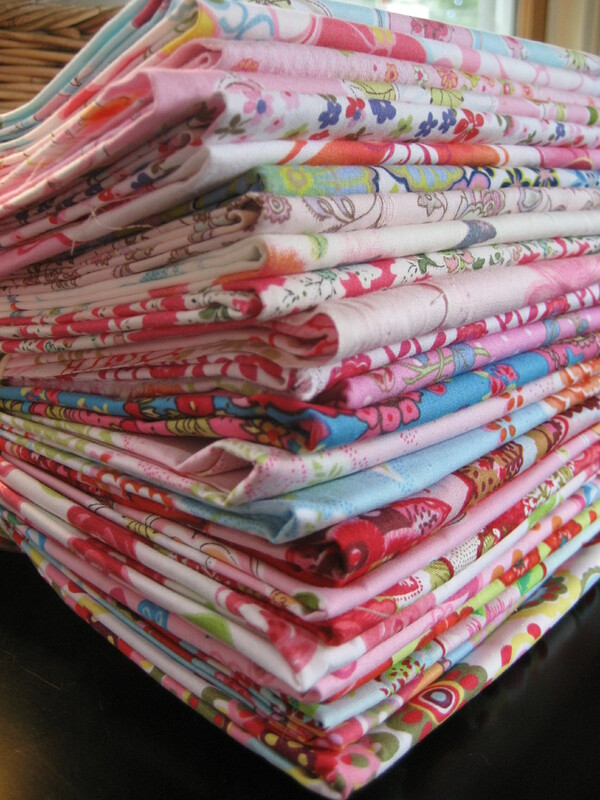 I could look at fabric all day and drool and wish I could just buy it ALL! Oh and Etsy….my god, no wonder I’m up till midnight every night!! My husband is constantly saying to me “WHAT do you DO on the laptop?” lol…ahm, window shopping for fabric and new patterns, getting inspired, learning……. Anyway. Got to get moving here. Make a plan for the day. Its a non school day, so I need to think of some fun things for the kids an I to do. Oh and then there’s April vacation next week…I think I’m going to come up with a list of activities and get all the stuff we need for fun projects ahead of time….maybe we can do that today. I digress. Look what I got in the mail, originally uploaded by SewLaTea. Sophie’s Quilt, originally uploaded by nikkifilo. 4 pictures for you, originally uploaded by nikkifilo. 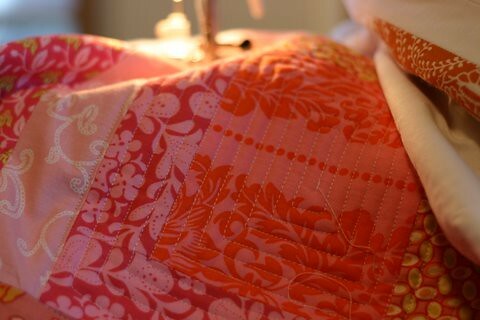 My first attempt at quilting a quilt! And I’m having SOOO much fun 🙂 I’m stitching straight lines, so that helps keep it fun….I’m not ready for free motion quilting quite yet. Maybe I’ll find a tutorial out there to help…someday. For now I like the satisfaction of completing line by line…and watching the quilt evolve. I’m addicted! IMG_8008, originally uploaded by nikkifilo. Pinned! Ready to quilt! This will be my very first attempt at actually QUILTING a quilt! 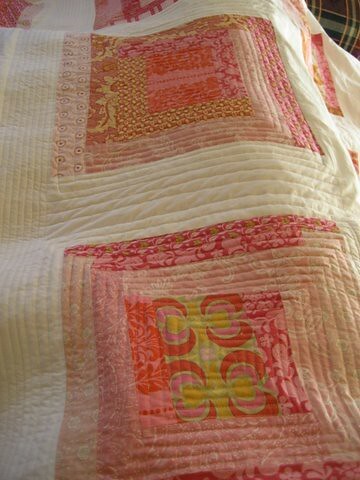 I usually just hand tie the layers together….but what I LOVE about quilts is that quilted yumminess. So here goes!